Deep in the heart of Bali’s tropical belly lies a home and hotel whose sustainable interiors have impressed all those who have seen them. Stonehouse was created by Walker Zabriskie and Wendy Kassel from a dream of having a beautiful property in sync with nature, where old friends and new friends could enjoy each other’s company. 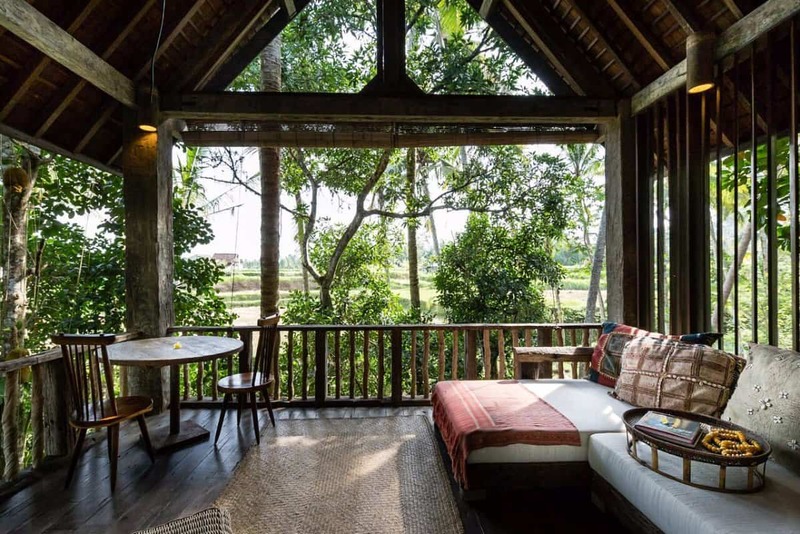 The couple believe Bali is uniquely beautiful, spiritual, and harmonious, and they’ve melded these elements together to form very special, evocative spaces. 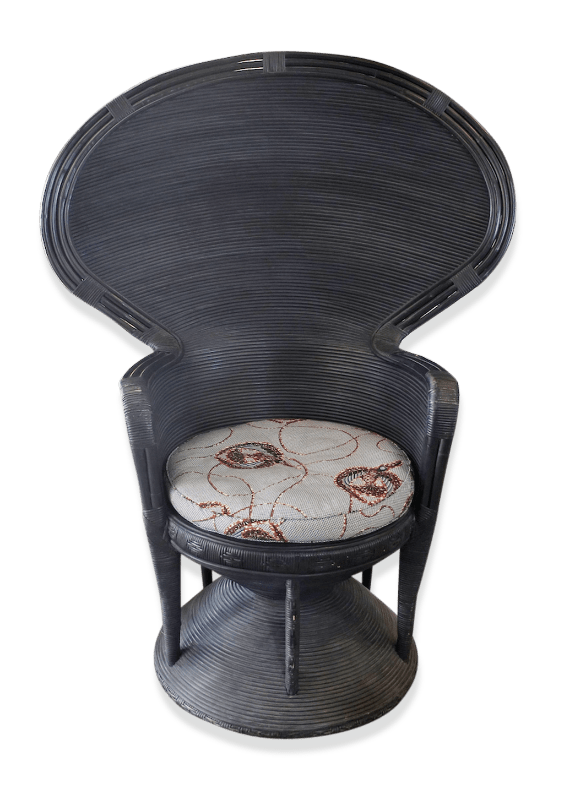 Walker makes much of the furniture himself, but he also incorporates a few antiques, as well as plenty of natural materials and local crafts and textiles. Here in this exclusive interview, we asked Walker about the inspiration behind his literally awesome interiors, how Bali influences his designs, and what he simply can’t live without. How important was the notion of sustainability when you created Stonehouse? We could never build a property as beautiful as nature, we only hoped not to embarrass ourselves in front of the nature Gods. What about Balinese style do you love the most? Aww, that’s an easy one. 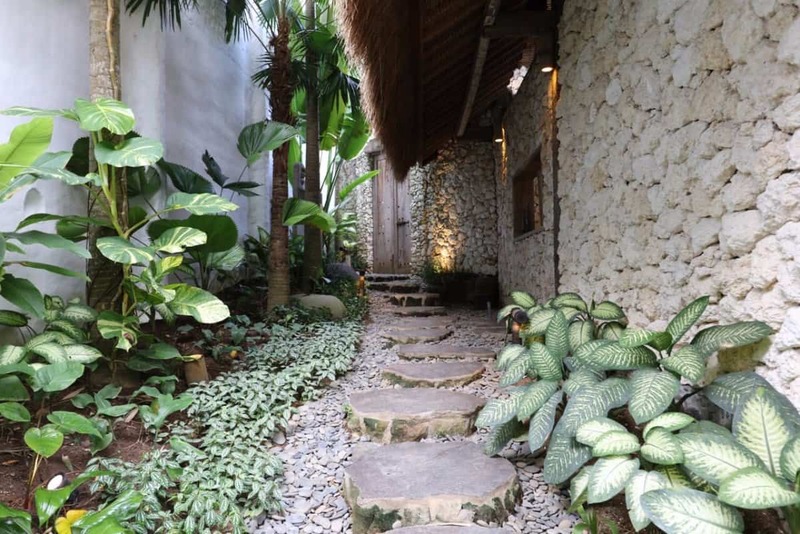 It’s the Balinese harmonious relationship with nature and the elevation of beauty as something important. 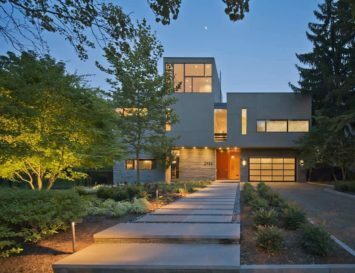 Not only are their buildings built around spiritual principles, but the use of natural materials, the open layout, and the emphasis of designing for the multi-generational family’s needs are inspiring. In which way does Stone House reflect your personal style? I love all things beautiful, and in many ways I am design agnostic. I also love spaces that evoke a very specific experience or feeling of place. Stone house was built to create four unique experiences. Longhouse as a adventurous Englishman’s 19th century residence in the Borneo jungle. Skyview to pick up the light, airiness, blues and whites of the Mediterranean. Java Suite to house our 19th-century palace walls from Solo, Java and to create an authentic 19th century experience. 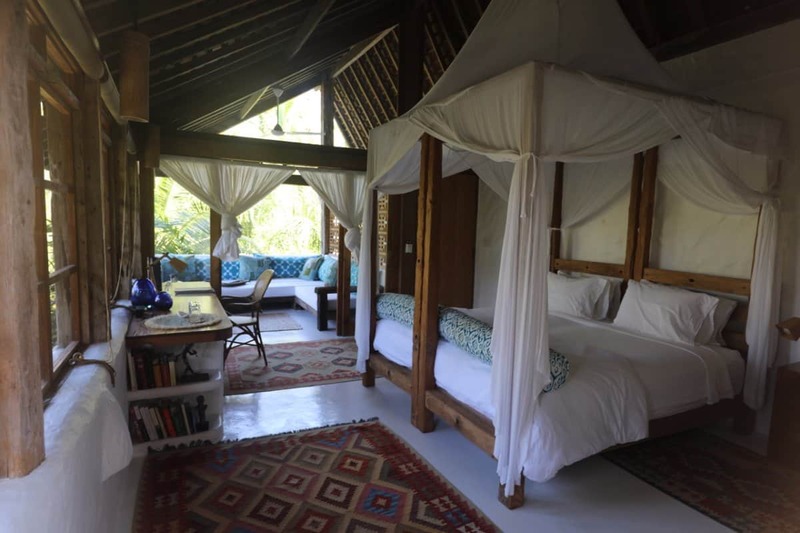 And Great Room used to gather one and all in a safari like, open, dramatic soaring space which overlooks the Balinese spectacular nature. Walker, what inspires your furniture designs? 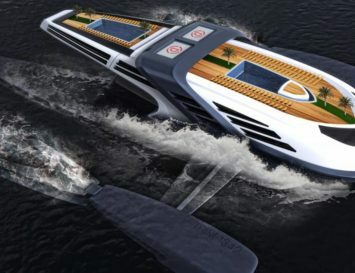 I am first inspired by designs that will help define the magical atmosphere, the dream that is being brought to life. 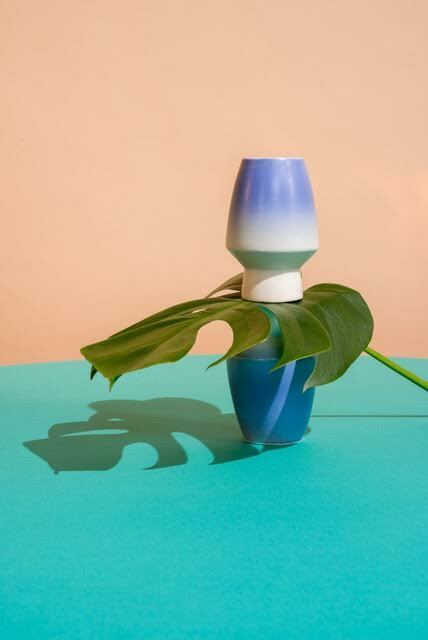 Next, the available material is considered, as our access to unique and marvelous materials is truly the starting point for a piece of furniture. Clean lines, and proportion are critical to the outcome. 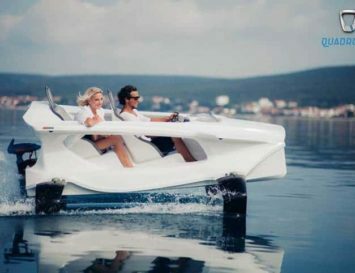 Finally, the less we modify the material the better. The more we do by-hand, the least amount of machine work, and the minimum amount of finishing allows for the most soul to come through. Which piece have you made that you are most proud of? 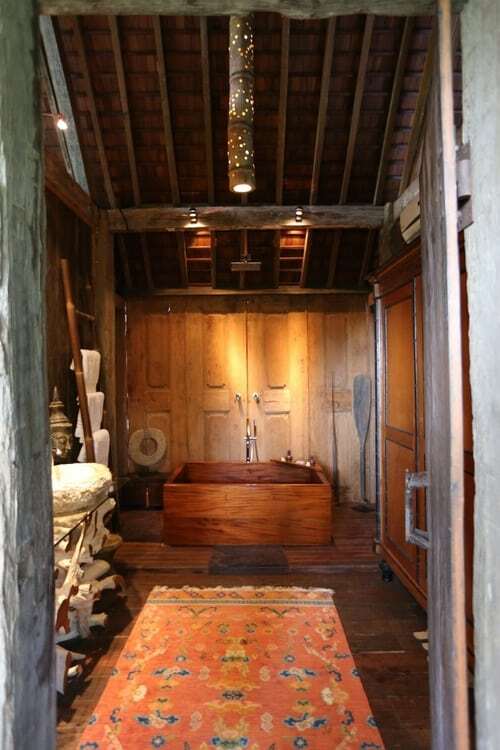 The mahogany Japanese soaking tub with hand-chiseled floor in the Longhouse. I love atmospheric bathing surrounded by beautiful woods and unique art pieces. 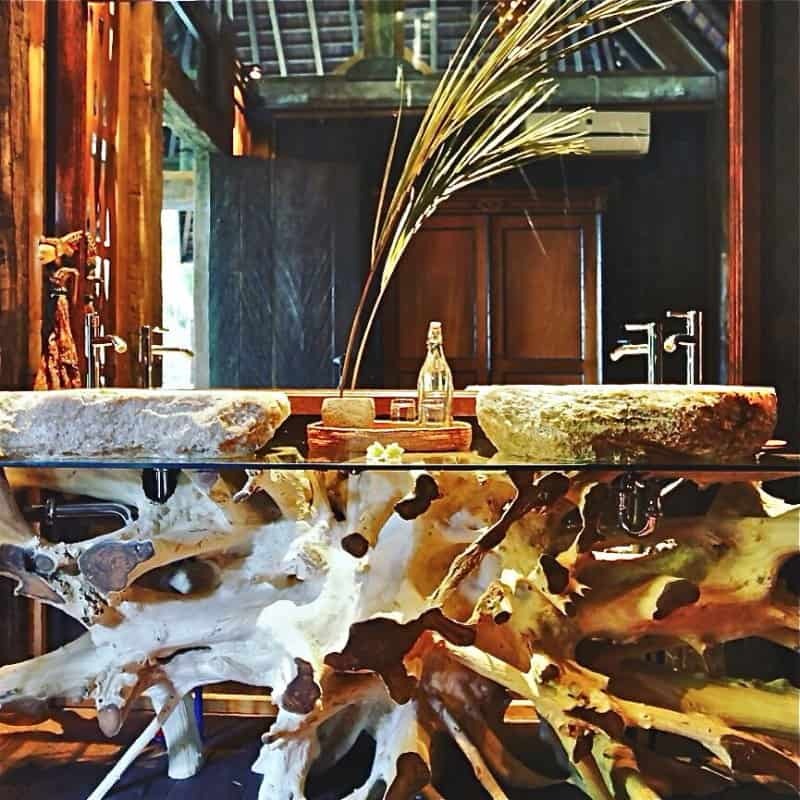 The sink in Java Suite made from an old teak railroad switch and then lined with hand beaten copper and mounted on Ironwood tree trunk bases is also a favorite. 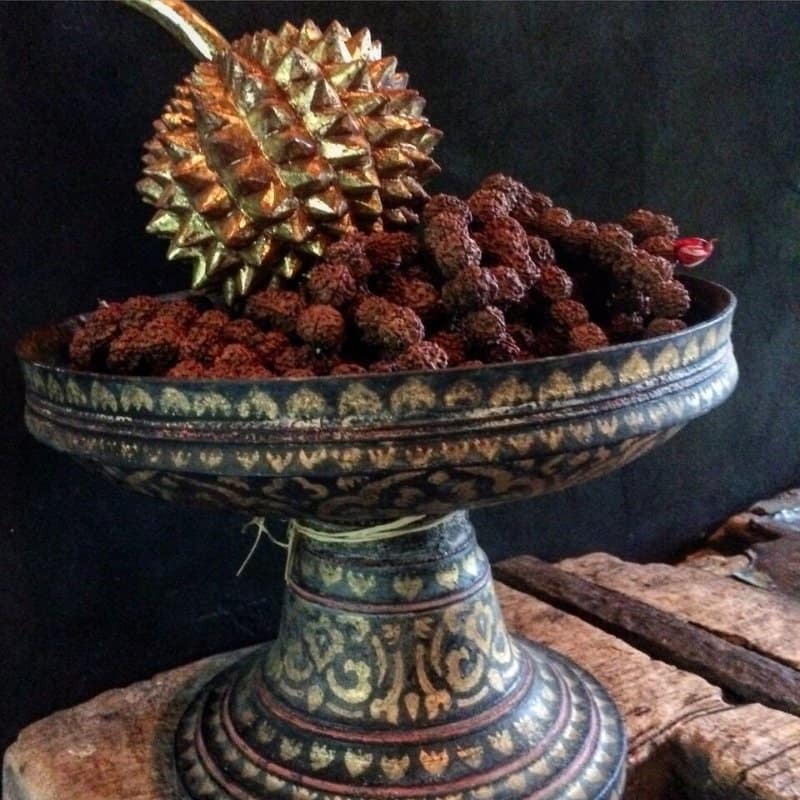 In which ways do you think Balinese style has impacted urban interior design trends? 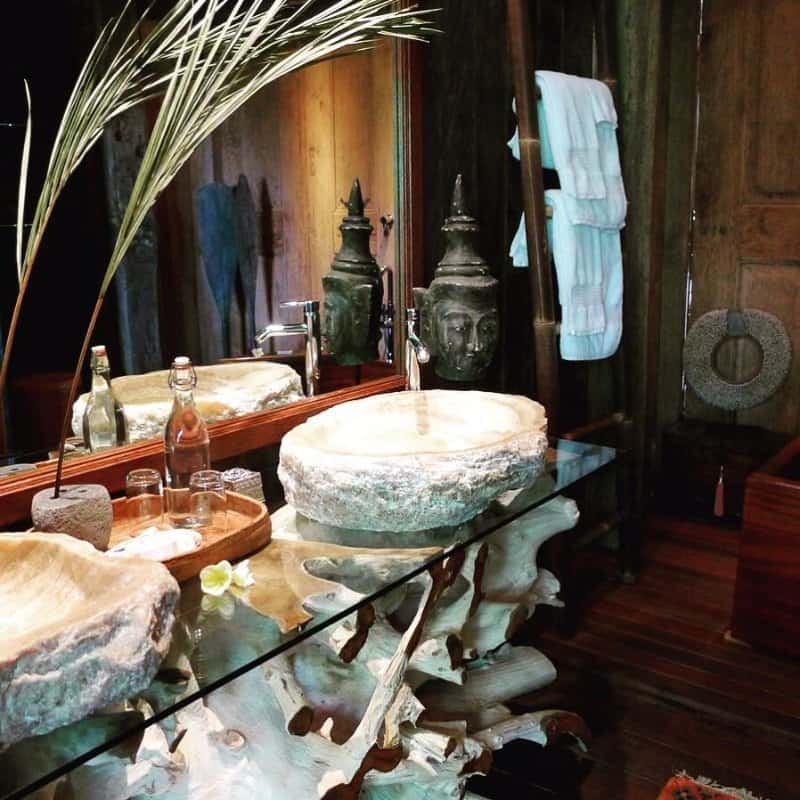 I think the Balinese emphasis on natural material, handwork, minimal finishing, and a sense of beauty has had a strong impact. 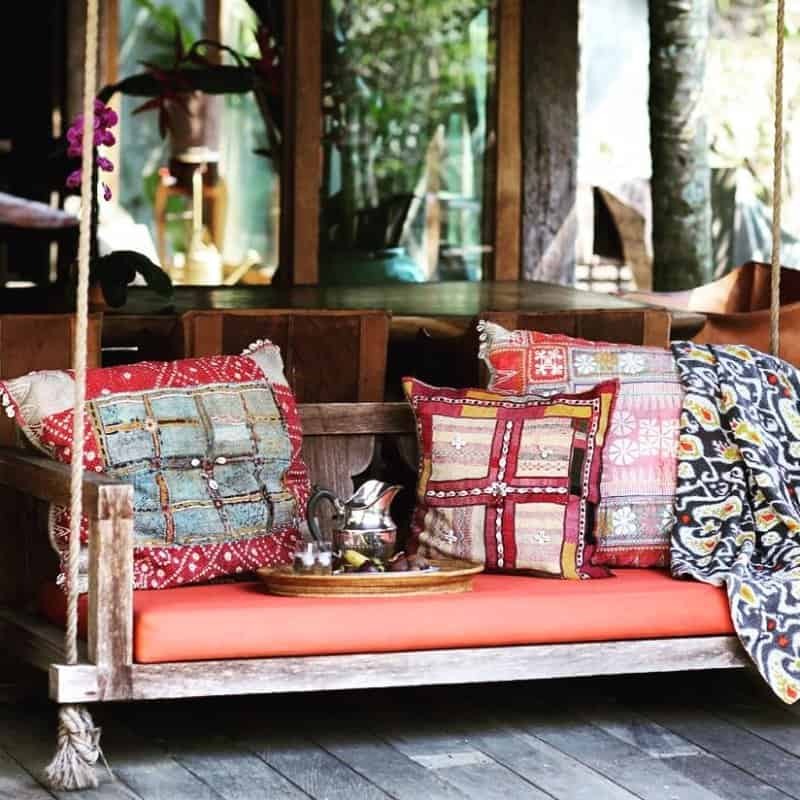 Balinese style has helped to give us a sense of freedom, closeness to the earth, and whimsy. Finally, if you could only have 3 decorative objects in Stone House, what would they be? The antique hand-carved ebonized wood elephant in the Java Suite. The 19th century lacquer Burmese chess set in the Great Room. 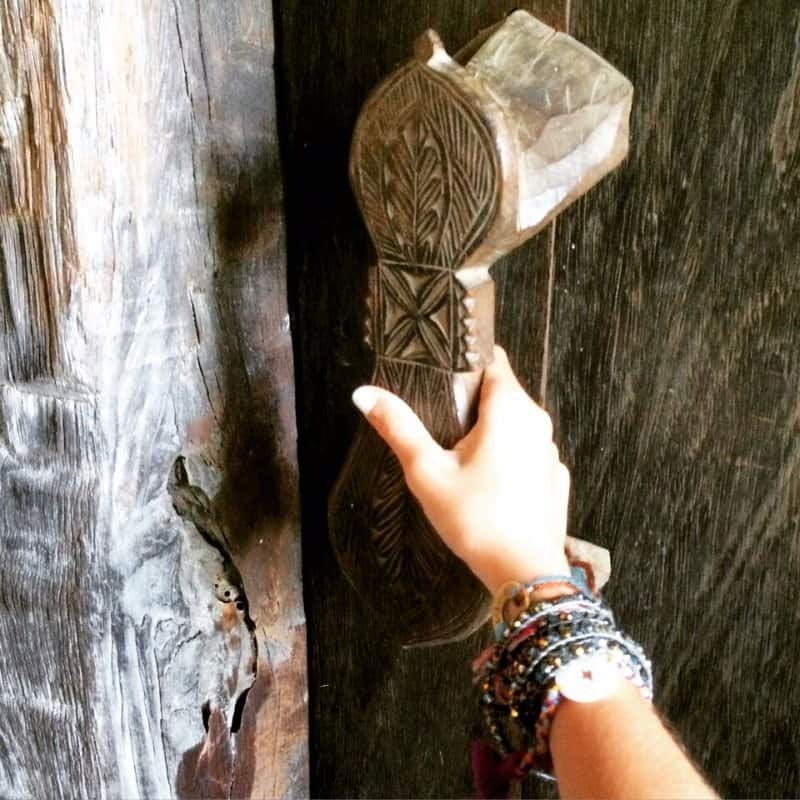 The sculptural salvaged house beam found in a Batak village in Northern Sumatra now mounted in Long House. 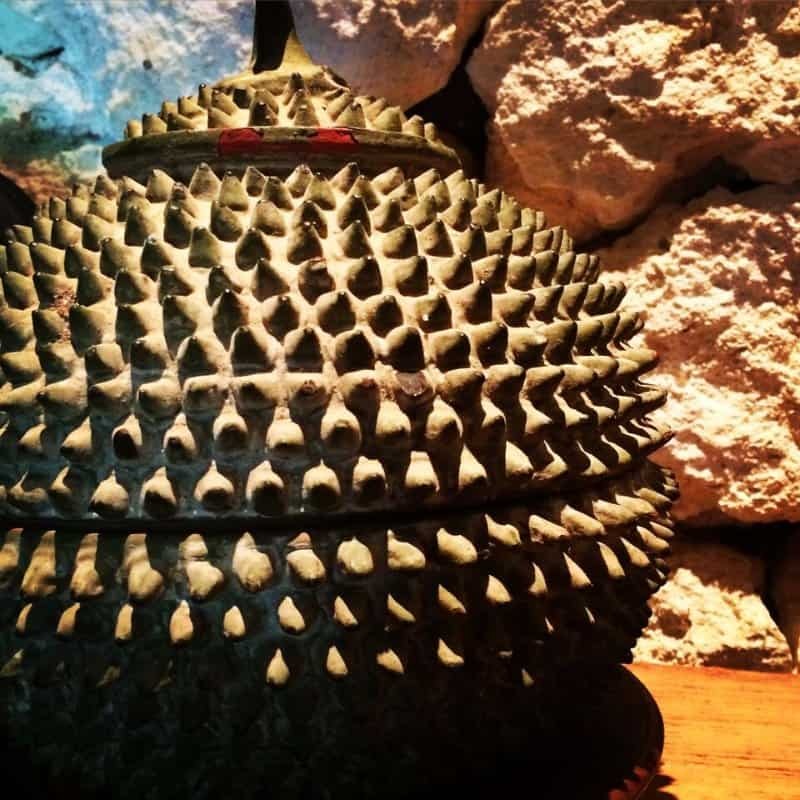 They’re all beautiful objects with beautiful histories. Stonehouse is a comfortable, cozy, verdant paradise. 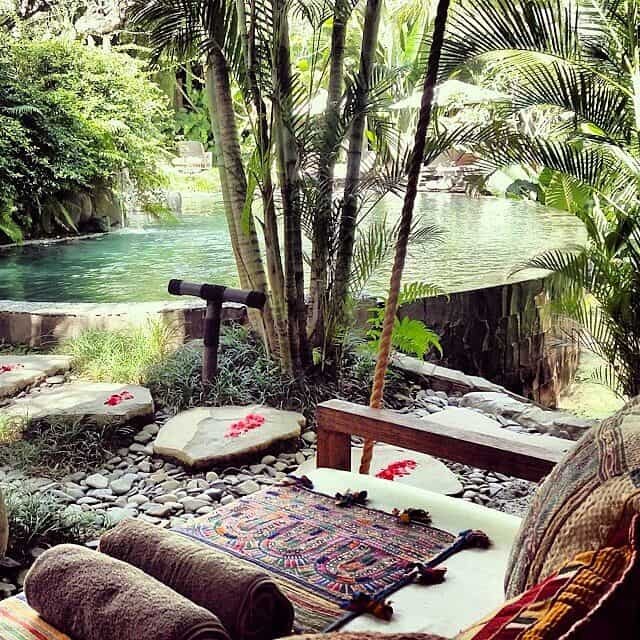 You can get a feeling for the place yourself with a few tips – even if where you live is nowhere like Bali. Of course, start with a great, firm mattress, preferably one with no harmful flame retardants. Stone House uses four poster frames made from local wood for their luxurious beds – ensure that yours is made from sustainable wood, too. It’s relatively simple to check whether furniture is FSC-certified so as to ensure that we aren’t butchering our forests in order to get that stylish home. 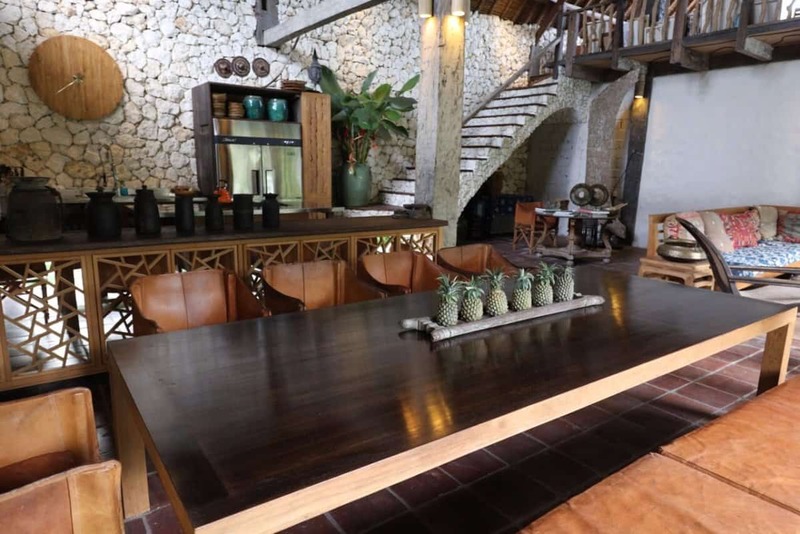 But sometimes it’s the question of how to recycle our old and unwanted pieces of furniture that presents the biggest headache for eco-conscious homeowners. 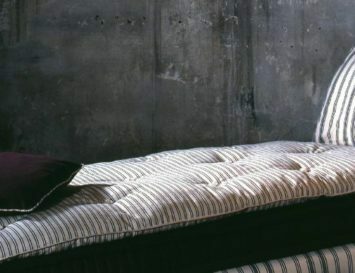 Thankfully certain forward-thinking retailers such as Bedstar have shown that they’ll do it for you by recycling any divan bed or mattress for a minimal cost whilst delivering your brand new bed the very next day. 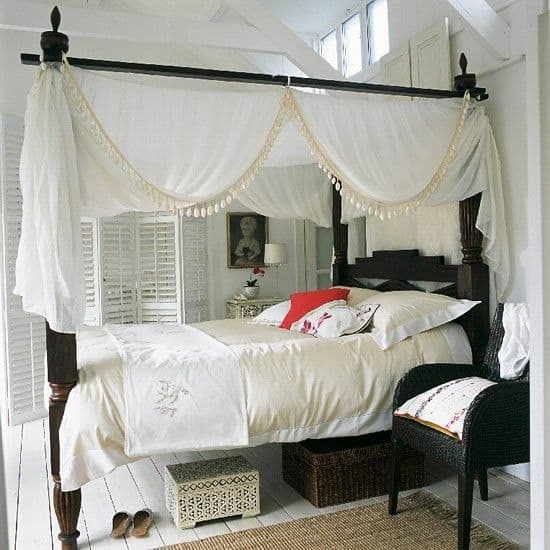 Of course, the whole point of having a four poster bed is to drape it in white muslin, to lend an air of intimacy to any bedroom. 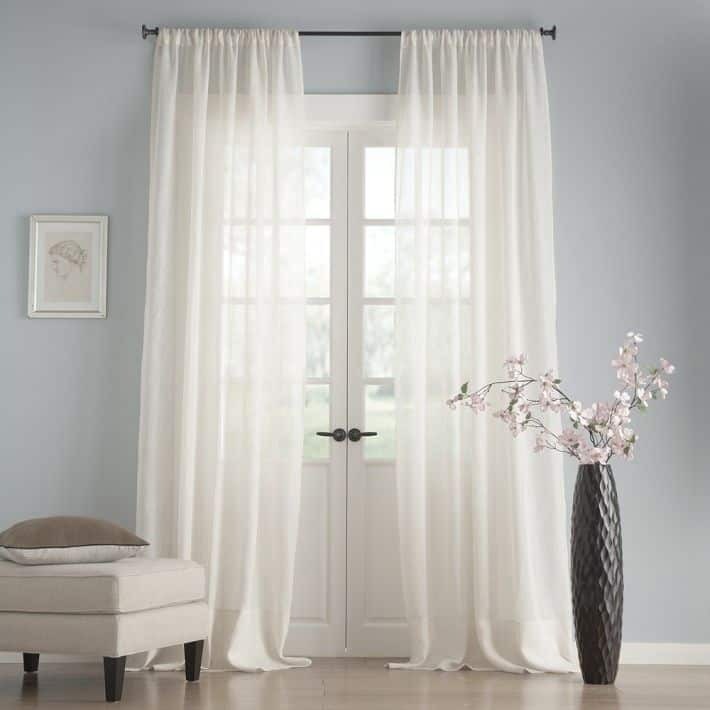 You can find organic white cotton muslin fabric and drapes here. To get a Balinese flavour, these should be colourful, but dyed naturally, and made from organic materials. 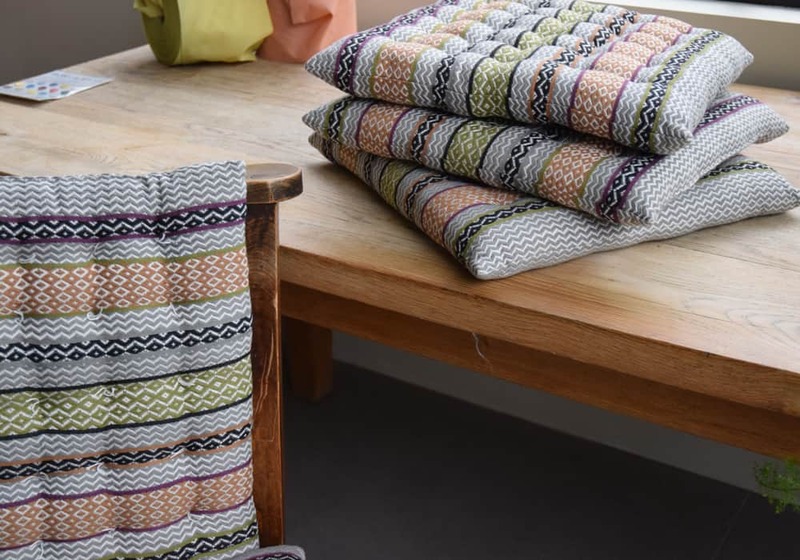 Gudrun Sjoden makes wonderfully cheerful rugs, throws and cushion covers that will brighten up any room. Ensure you’re eating in style with some eco-friendly ceramic plates. Stone house favours an earthy, rough look, but if you would like something a bit more colourful, Pax Ceramics makes some lovely stuff. 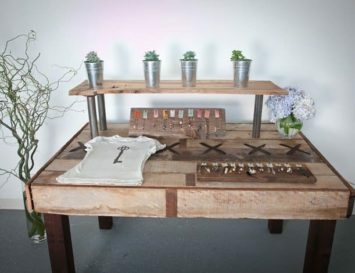 Walker makes his own furniture from tree roots, and you can buy a few pieces online for yourself, too. 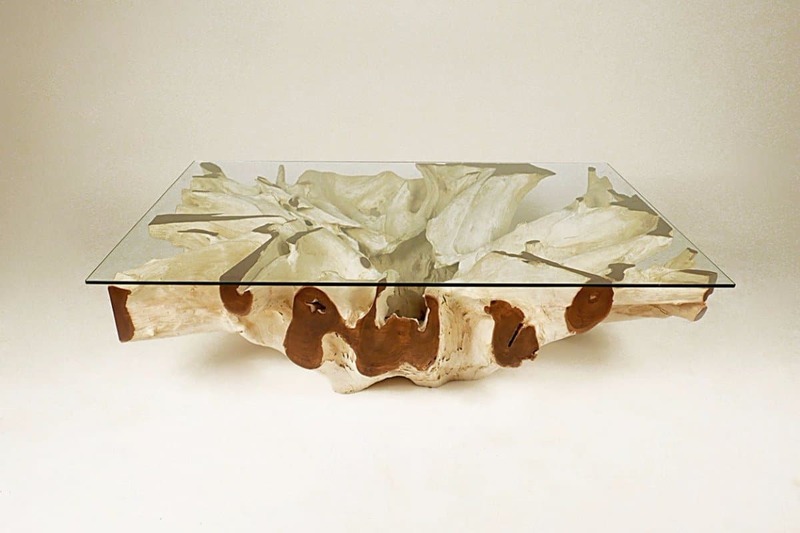 This standout table will evoke instant ‘oohs’ and ‘aahs’ from any visitors, and utilises wood that would otherwise be wasted. You can have your by shopping here. 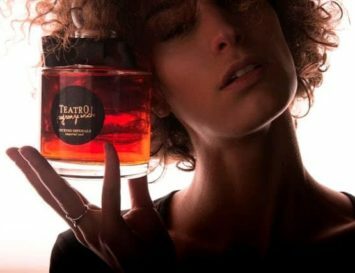 If you want a taste of the real Bali in your home, you can shop online at a well-known shop in Bali’s Seminyak region: Souq. The store supports local artisans, and produces Balinese goods with a modern twist, like this Snake armchair, below.